A resident of Church Point has cited concerns with the tearing down of an asbestos-ridden boat shed opposite his home. Warning letters were delivered by the Pittwater Council throughout the neighbouring properties, informing citizens of the removal of the dangerous mineral. Asbestos warning signs were also found throughout the site. However, citizens have noted that the council-contracted workers were destroying the building with hammers and showed no consideration for the containment of asbestos dust. A concerned citizen, Collyn Rivers said that the building was left in a “huge pile” for a long period of time. It is alleged that the workers simply tore the building apart without taking any occupational health and safety precautions. It is important to note that Asbestos fibres are hazardous if inhaled. Rivers is concerned that people may have unknowingly been exposed while in the vicinity. 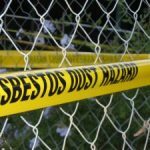 A spokesperson for the Pittwater Council said the contract workers removed the asbestos according to Environmental Protection Agency (EPA) rules. The shed was listed to for demolition following a council report that stated the building presented the potential for numerous hazards. As reported by the Manly Daily last October, the shed was listed for demolition after a council report said it posed “numerous hazards and presents as a potential nuisance to third parties”. The decision upset the non-profit jewellery and metalworking organisation Silver Plus, which successfully applied for a $40,000 state government grant to have the boatshed rebuilt as a workshop.